Where do entrepreneurs find their mentors? Our Connected Entrepreneur survey is mapping the relationships. There is still time to add your story to the Connected Entrepreneur. In the meantime, MaRS Data Catalyst is analyzing the preliminary data to better understand the workings of Ontario’s entrepreneurship ecosystem. After looking at the role of education, we’ve turned our attention to mentorship. We can see a network effect of sorts in action. Each connection between individuals adds value to the network, connecting smaller networks to larger ones (indicated by the dotted line in the image above). The more connections there are between individuals, the more useful the overall network becomes. We’ve animated the initial set of mentorship connections to demonstrate this effect in action. This also has a data network effect. Each respondent adds more information to the network, increasing the value and accuracy of the insights we’re able to derive about the ecosystem. So make sure you take the survey! Digging deeper into the nature of various mentorship connections, we see that the largest group of people involved in mentorship are 40 or older. The second-largest group of people involved in mentorship are in their twenties and there is a relative decline in mentorship activity in the 30 to 40 age group. Where do entrepreneurs find their mentors? When we look at where mentorship relationships are initiated, we find that many of the top sources are what you’d expect: entrepreneurs find mentors through university networks, their co-workers and other referrals. One significant source of mentors is the network of Regional Innovation Centres across Ontario, which we here at MaRS are happy to see. Others are business support centres and professional associations. There is definitely a variety of ways to find like-minded entrepreneurs and mentors. One entrepreneur even mentioned doing so at the gym! What’s clear from the data is that you need to get out there. Networking events and in-person meetup groups appear to be especially important for making connections. 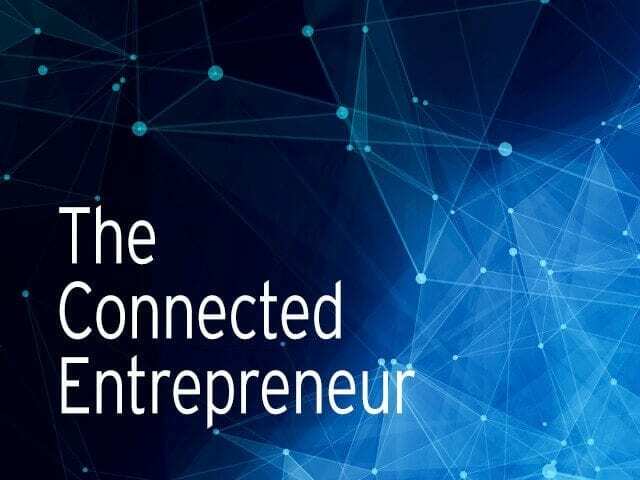 Take the Connected Entrepreneur Survey today! The Connected Entrepreneur Survey is still live and we’ll be collecting responses until December 2016. The resulting outputs are as interesting and accurate as the information you provide. Your participation in the survey will go a long way toward putting Ontario’s entrepreneurial cities on a global stage. What is the value of connections in Ontario’s entrepreneurship ecosystem? What types of supports do entrepreneurs need the most and at what stage? Can we start to predict and purposefully facilitate connections to boost innovation? If you’re an employee or affiliate of an organization that works with entrepreneurs in some capacity, you can help further this initiative by sharing the survey with your networks. You can also contact Malavika Kumaran at mkumaran@marsdd.com for more information. [i]. Data accurate as of November 16, 2016.